For homeowners, private landlords, estate managers, or those with responsibility for commercial properties, such as schools, colleges or hospitals – The Original Tree Surgeons offer a one-stop tree work solution. Regular tree work is essential to maintain a tree’s safe condition. From thinning and pruning, to reduction and removal – this is all very much part of our day-to-day service. 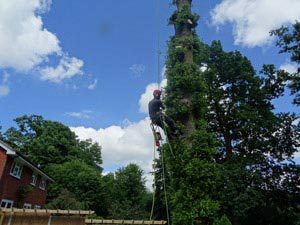 Operating extensively throughout Kent, East Sussex, Essex and Greater London for both domestic and commercial clients – our skilled, fully insured tree surgeons are well versed at regulating the size and shape of a tree, ensuring that any repairs or remedial treatment is carried out safely and with due care and attention. The work we undertake won’t simply leave the tree looking neat and tidy, but also have the effect of stimulating healthy growth. We would always recommend regular maintenance as the best course of action, but we do understand that unforeseen, weather related issues can also necessitate tree work being carried out at short notice. Rest assured, whatever the situation, The Original Tree Surgeons will always do our best to respond as quickly as possible. For a free on-site assessment and competitive quotation, contact us on 01892 599331.